Who doesn't love a nice slice of pie!! 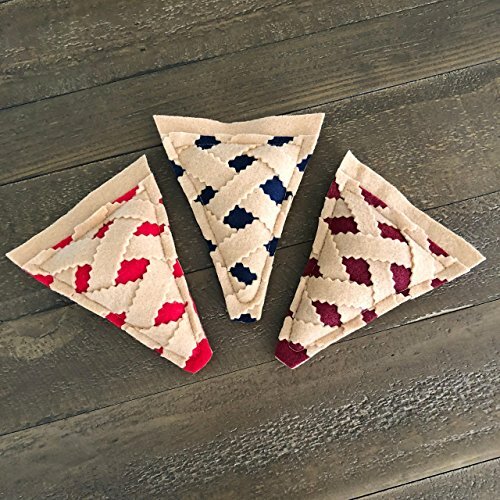 This order is for one strawberry, one cherry and one blueberry slice of pie! These toys are made with pet friendly materials; Felt, Certified Organic Catnip, Thread, a bit of fiber fill and a lot of love. All toys will have slight variation due to being handmade! If you have any questions about this product by Furball Fanatic, contact us by completing and submitting the form below. If you are looking for a specif part number, please include it with your message.